If you see a product on the market, then you’ve probably seen something that Nielsen had a hand in because they have been in the business of consumer research for nearly a hundred years. That’s a long time by any stretch of the imagination. What is the Nielsen Survey? How Do You Participate with the Nielsen Survey? To Join or Not to Join the Nielsen Company? The Nielsen Company has created and upheld a gold standard of what should be expected for consumer analysis and has grown with the times. They understand the far-reaching marketplace better than most companies around. 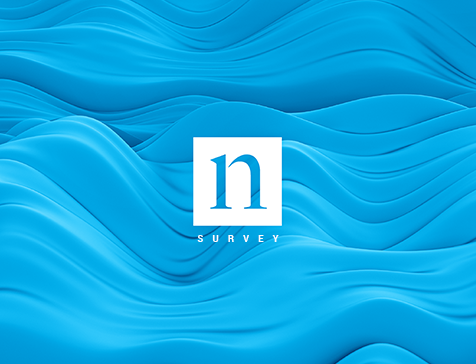 By using the Nielsen survey panel, they aim to continue to improve and provide the way that people reach the market and to give insight on how people spend their hard-earned dollars. The Nielsen Survey, also known as the Nielsen consumer panel survey and Nielsen paid survey, is meant to provide solutions for clients across the globe. It is part of a larger corporation, the Nielsen Company. 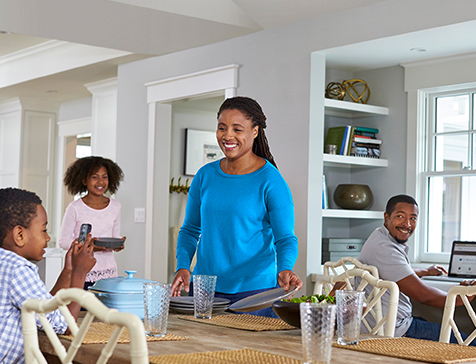 They incorporate households from all over the United States to find and focus on the most current shopping and internet trends. In return for being a part of the survey team, you get rewards like free entries into sweepstakes for as long as you remain a dedicated member. Being a member means that you’re uploading information frequently, as in weekly or more often, to stay in good standing with the company. If for any reason you fall into negative standing, you will be asked to return any equipment that is sent off to you in the first place. It is easy to sign up, though, and you start by filling out a questionnaire. Signing up is pretty quick and relatively painless to do. To get started, you need to fill out a fairly short questionnaire followed by downloading the software that you’ll need to your PC or other laptop. The installation is quick, too. If you’re partaking in the web tracking option, then all you do is surf the net like you would any other day, and the app keeps track of where and what you’re visiting online. It runs silently as you do your thing and then transmits your user data to Nielsen’s housing. still starts with a questionnaire. You fill it out, they determine if you fit the demographic they’re searching for, and if you fit, they’ll follow up with whether or not you want more information and to join the panel. Joining the consumer panel means you’ll get a box that you upload receipts and shopping information to Nielsen to track shopping trends. In yet another option, you could opt to join as a Nielsen family and keep track of what you watch on TV every single day for a week or longer. Nielsen ratings rule the television programming on networks across the country. You will also be asked questions about your household or spending habits occasionally as a Nielsen family. There’s no doubt that the Nielsen Company is as legit as they come, so you have no worries about them scamming you if you decide to join. You do have to decide if you want to make the commitment required to fulfill your obligations. When it comes to the duties you need to fulfill being part of the Nielsen Company, you need to be prepared for a few things. For the internet program, you don’t have quite so much to do aside from doing just your regularly scheduled surfing. If you were to go about the Nielsen survey that requires you to submit shopping receipts, you need to be more dedicated. They expect you to scan and upload your receipts on a regular basis. They want to know everything you purchase for up to a year to keep track of shopping trends. 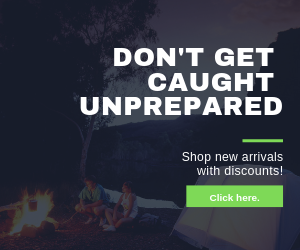 From groceries to running out to the corner store, you’ve got to be prepared to submit it all. It can be a pain to keep up with it all. Going forward with being a part of the Nielsen ratings system for television means that you’re going to watch programming and then those results are going to essentially decide on what stays on network TV. It’s both an honor and an obligation to be a Nielsen family because you will be one of the small pieces of the planet that determines the shows that continue to run from season to season. The downside to this is that you have to be available to watch TV regularly to be an accurate representation of the American public. There is plenty of good and bad when it comes to the Nielsen Company. The perks of regular sweepstakes entries are pretty good, especially when you consider how they do offer drawings for annual $120,000 winners for their contributors. Sounds pretty great, until you look at the darker side of Nielsen. If you were to go out to the Better Business Bureau, you would see that they have a lot of negativity just in 2018 alone. On 9/4/18, an individual left a complaint saying that, “These people have been coming to my house going on 3 years now, I keep telling them I am not interested in being a Nielsen house yet they continue to come to my house and leave flyers in my door and now today 08/**-2018 I receive a ***** Express envelope telling me that my house is chosen. I am being harassed by these people. I want them stop coming to my house and leave me alone. Can I file a law suit against them for harassment?” They received little more than a generic response from the company. In another example from a contributor dated 9/21/18, it is written that, “I have been contacted by 2 different agents from Nielsen, coming to our apartment complex on 3 separate occasions in the last month or two. The first guy came and gave me a box of candy, which I refused, but he said oh just take it anyway, mu gift to you. So I did, then he came back a week later, and I just looked at at him and shook my head no and shut the door. I never signed up for anything related to participating in anything to do with Nielsen, and we want them to stop bothering us. The lady who came today 9/**/18, said, “they are REQUIRED to at least get a phone number so they can call us”. I said no, go away, we will never participate, she said someone else would be coming again, I said great I’ll tell them the same thing. I don’t understand this at all. We never signed a survey, or answered an email, we’ve done nothing to initiate this. They obviously picked us out of a hat to harass. Why are they bothering us? I called the ###-###-#### number? The “contact us” number, and never could get through to a real person. Tried all the categories, or I don’t know what I’ll do when the next person comes.” The response, again, was very generic and didn’t seem to give much encouragement to the experience you can expect from Nielsen. There’s quite a bit to think about when you decide whether or not to move forward with Nielsen. They have lots of perks, but you have to determine whether or not the potential cost is worthwhile. There is a certain amount of obligation involved when you partner up with Nielsen, but you may or may not be able to meet it regularly. Additionally, if you ever have to reach out to Nielsen if you have problems or issues, you may not be well-received. Be prepared to have some difficulty getting a hold of customer service because chances are it won’t come easily. Going in, if you know what you’re getting yourself into, then you’re going to be better off if you choose to contribute to Nielsen’s surveys, ratings, and web tracking. If you’re still not sure after this, definitely take some time and go out to do some reading for reviews and other information to make sure you feel comfortable working with Nielsen. You can log in any time of day or night, but you can only typically reach them during business hours, Monday through Friday, if you can reach the company at all. The headquarters for Nielsen is found at the following address. You can contact Nielsen via their Contact Us page or at the following toll-free phone number.